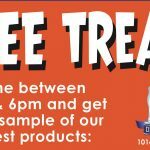 Ally Financial and The Detroit Water Ice Factory announced a new water ice flavor called Ally Caring Coconut, with proceeds going to benefit the local Detroit community. 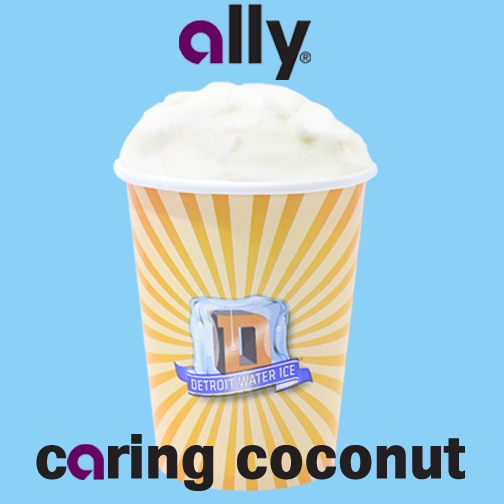 As part of its 313 Pledge, Ally will donate $3.13 to local nonprofit S.A.Y. Detroit for every purchase of Ally Caring Coconut. S.A.Y Detroit provides help, shelter, food, medical care and education to those in need. Ally’s relationship with Detroit Water Ice began earlier this year in conjunction with the company’s move to Ally Detroit Center, in Detroit’s business district. 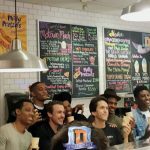 To further demonstrate its commitment to the city, Ally launched the 313 Pledge to donate $3.13 to S.A.Y. Detroit for every Detroit Water Ice sold for the month of April. The pledge sparked excitement from the community, which led to the expansion of the program and the development of the new Ally Caring Coconut flavor. The new Ally Caring Coconut flavor debuted during the 58th Annual Fireworks display in downtown Detroit on Monday to symbolize Ally’s continued commitment to the city. Ally Financial Inc. (NYSE: ALLY) is a leading U.S. financial services company. Ally’s automotive services business offers a full spectrum of financial products and services, including new and used vehicle inventory and consumer financing, leasing, vehicle service contracts, commercial loans and vehicle remarketing services, as well as a variety of insurance offerings, including inventory insurance, insurance consultative services for dealers and other ancillary products. Ally Bank, the company’s direct banking subsidiary and member FDIC, offers an array of deposit products, including certificates of deposit, savings accounts, money market accounts, IRA deposit products and interest checking. Ally’s Corporate Finance unit provides financing to middle-market companies across a broad range of industries. Ally recently acquired online brokerage and digital wealth management company TradeKing Group, Inc. 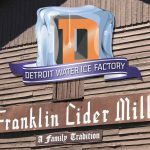 In 2015, Albom created The Detroit Water Ice Factory, following the “Newman’s Own” model of philanthropy. Its mission is to offer a delicious, top-of-the-line food product, with the sole goal of raising funds to help others.